Despite the increasing emerging countries’ share in global exports, this share in figures may still be considered relatively modest if we consider the potential of these countries. This paper has the purpose of conceptualizing and analyzing the decision process regarding brand equity in internationalization processes and the implications of the associations with the country brand. The internationalization process to emerging market companies is a critical variable to increase brand equity as stereotypes of the countries of origin strongly influence consumer reviews on products, as consumer ethnocentrism and social identity theory governs purchasing behavior. 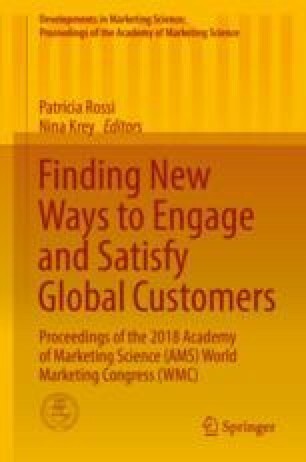 Despite the importance of the subject, there are still few papers theoretically approaching both subjects simultaneously to help managers and scholars understand the country of origin effect on the effort of increasing brand value in international markets. How should emerging countries’ companies (e.g., Brazilian) deal with the decision to associate their country (e.g., Brazil) with their products? Based on the case study of two emerging market multinational enterprises (MNE), it is suggested a new approach for the internationalization process of emerging market brands. The two Brazilian companies assessed in this study had different approaches to the country of origin (COO) effect, with antagonist strategies to country of origin associations. While one of them (Embraer) uses the so-called GCCP (global consumer culture positioning), global positioning for all cultures and markets, the second one (Giraffas) opted to a different positioning in international markets. The antagonistic decision about branding between the two companies can be noticed in the process of implementation. Implications on the use of GCCP for both companies and theoretical inferences are discussed.